We looked at Facebook, Twitter, LinkedIn, Pinterest and StumbleUpon in the previous 2 parts of this post. Here are the next 5 social media channels in my top 10 list. 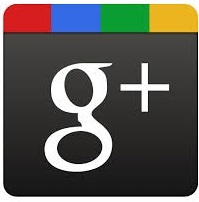 Google+ Pages allow organizations and companies to connect with their fans. It’s pretty similar to Facebook fan pages. Brands, media companies, B2B networking. More formal and professional information that’s not relevant for Facebook. The same as in Facebook – once/twice per day for brands, and several times for media companies. To quickly target Google+ users who are influential in your industry, you can use Recommended Users. Tumbler is a free micro-blogging platform that can be used as a powerful marketing tool for spreading awareness about your brand and extending your reach. Small businesses in industries with a visual focus, companies with target audience between the age of 16 and 35. Short text blog posts, photo-based posts (photographs, animated GIFs, infographics, etc), quotes from fans/customers/partners, words of wisdom, excerpts from articles and interviews, links to interesting readings or a piece of press, music and videos. Install the Tumblr “bookmarklet” in your browser to create a Tumblr button in the toolbar. Click the button whenever you want to quickly create a Tumblr post about a Web page you visited. Instagram is a mobile photo & video-sharing social networking service that enables users to take pictures and videos, apply digital filters to them and share them on social networks like Facebook, Twitter, Tumblr and Flickr. Do you have a product that you can display in a cool visual way? Or a service that some great photos can highlight in an emotionally charged, dramatic manner? If you can translate the passion of what you offer into a visual image, then Instagram will open a fantastic door of opportunity for your business. Visual content – pictures and short videos (less than 15 sec). 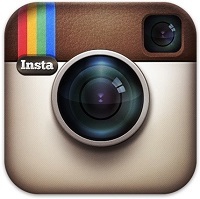 A while ago, Instagram started the Instagram for Business blog, which offers tips, brand spotlights, API examples and news from Instagram HQ. YouTube allows people to discover, watch and share creative and informative videos. The brands create their own channel to which people subscribe in order to receive info for any new videos the brand uploads. YouTube videos might also be easily embedded into your own website or blog. Companies who produce and want to publicly share video content. Company intro videos, how-to videos, webinar recordings, business promotional videos, interviews with customers, etc. Whenever you have relevant content. Create annotations to provide additional text, links, and hotspots over your video. Read a tutorial on how to create and customize annotations. 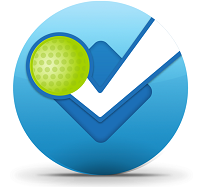 Foursquare is a location-based social platform that lets you check into venues all over the world, leave reviews, upload photos, as well as compete with your friends for earning badges and mayorships. A business can use this powerful platform to encourage new customers to stop in or engage with current customers to bring them in more often. B2C companies, especially stores, restaurants, and travel/tourism related businesses. Use Foursquare to offer small gifts for your customers, provide discounts, post insightful tips about popular destinations in your neighborhood, run contests, give special treatment to loyal customers, provide interesting background info about your business, etc. Whenever you have an “announcement” for your venue or want to run some kind of “special” – discounts for users who check-in, free coffee for the Xth visitor this day, etc. Here’s a great how-to on launching a marketing campaign on Foursquare. OK, you already know the specifics of these top 10 social media tools. Next step is choosing the ones that are right for your business, and using them at their best. Reach me at ralli[at]indigoverge.com with any questions or comments.